Non-skid. Matte Finish. Studio or Home. All Dance Styles. Marley Dance Flooring (Matlay) is lightweight and has a non-skid matte finish. This is a universal vinyl dance floor suitable for all forms of dance (use for tap, ballet, ballroom, modern dance, jazz, etc.). Available in Gray/Black (gray on one side, black on the other side) or White/Black (white on one side, black on the other side). Reversible. We can pre-cut to custom lengths to match your room dimensions! The following sizes can be ordered immediately above. Note: Price includes ground shipping within the contiguous USA. Ships out in 1-4 business days. Professional Matlay Dance Flooring (also commonly called a marley dance floor) is double-sided, lightweight and has a non-skid matte finish. The top surface texture of this dance floor is ideal... it's not too fast and not too slow - dancers love it! If you need a black, gray or white dance floor, our reversible marley floor is your answer. 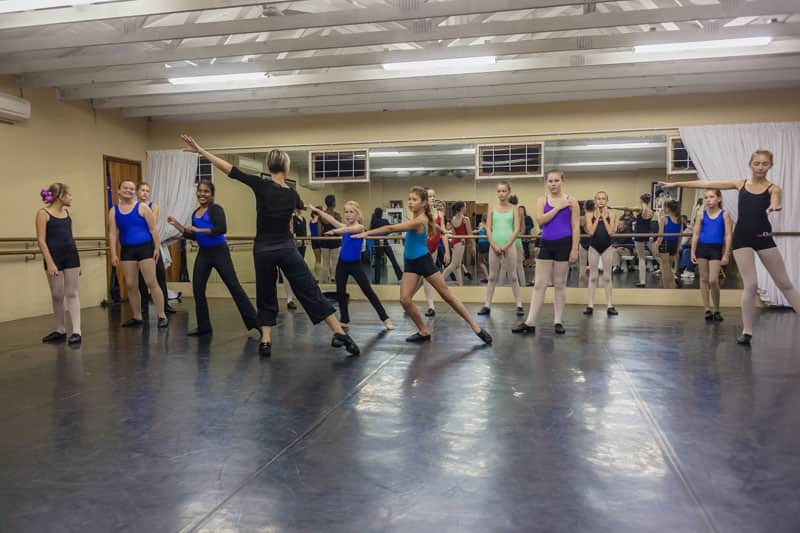 The professional high quality and low cost of this dance surface makes it extremely popular with professional dancers opening up their own dance studio or someone looking for a professional home dance floor. 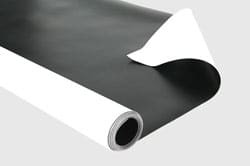 The white side of this reversible, matte finish floring is also ideal as a fashion show runway floor, for photo shoots, or other glamour uses where a white surface is required. Easy tape-down installation without gluing allows this floor to be used both as a long-term or temporary/portable flooring solution. Works great as a Marley traveling floor that you can lay out, tape down, roll back up, and take with you to your next performance. What to buy and how to install (the short version): All rolls are 6 feet wide and come in stock lengths or we can pre-cut custom lengths for you. Just tell us your rooom size (fill out simple quote request form below), and we'll tell you the correct and cheapest combination of rolls for you to cover your desired dimensions. Installation is easy. Just lay out the rolls one after the other, butting each one up to the previous one. This flooring is generally not glued down. 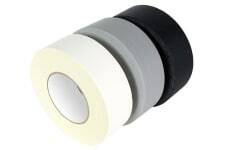 You then apply vinyl dance tape onto the TOP surface over each seam, and you apply gaffer tape around the perimeter of your floor (half on your new dance floor and half onto the surrounding subfloor), which keeps your entire floor in place and prevents it from moving around. See more detailed instructions in the links below. Reversible Gray/Black (gray on one side, black on the other side) or White/Black (white on one side, black on the other side). Size: 6' wide, up to 60' long (in full foot increments). Weight: Approx. 0.33 lbs/sf. (120 lbs. for each 6'x60' roll). Thickness: 1 mm (0.04 in.). 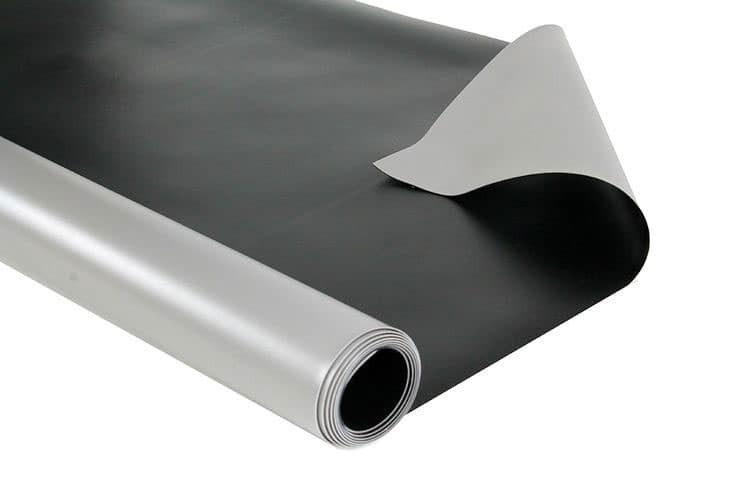 Made of PVC Dance Vinyl (most popular type sold internationally). Certified "Class I" Fire Rated. Tested in accordance with ASTM E648 (NFPA 253, FED. STD. NO. 372, NBSIR 75-950). Installation is a simple process for any professional installer or handy DIYer. Allow approx. 1-2 weeks for production and delivery. WHITE floor - Unique and elegant. 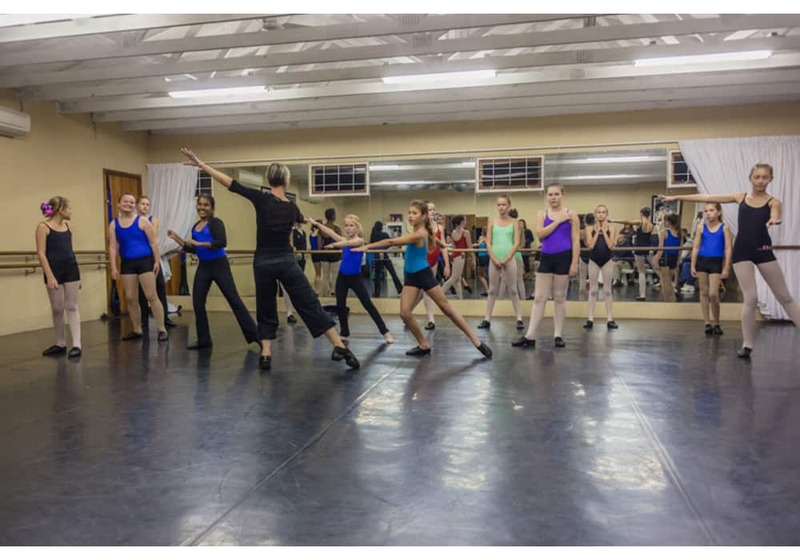 Permanent dance floor for professional dance studios, home dance rooms, performing arts theatres, public recreation centers, high school dance teams, and private sports clubs. Walkway for performers entering and exiting the stage (e.g. from quick change to stage position). Aisle protection or decor change. Temporary cover for a table work area. Tradeshow exhibits - under a featured piece of equipment or product display. 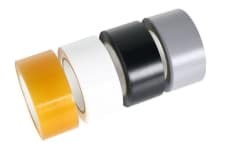 Stock Roll Sizes: Order right now at the top of this page. Want A Quote For A Specific Floor Size? - We Make it EASY! Just complete a quick and simple quote request, and we will email you a custom quote ASAP. Your quote will show all costs itemized.